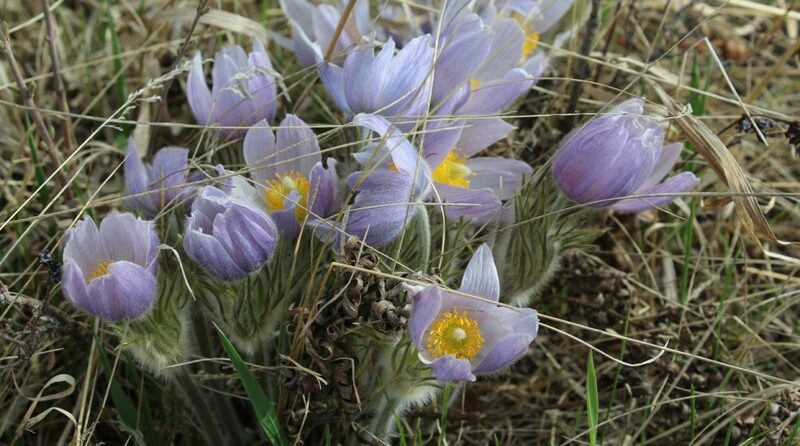 Haskap blooms and a recipe for haskap berry crisp. 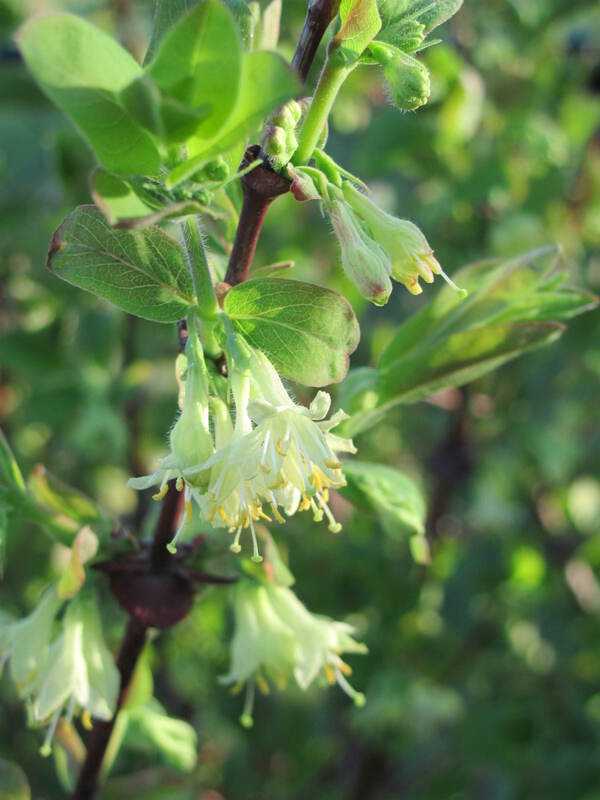 The haskap (edible blue honeysuckle, honeyberry) is blooming at the community garden – and the bees couldn’t be happier! Apparently, they were so happy they couldn’t stay in one place long enough for me to capture at least one with a clear photo, so my pic is bee-less. While rummaging around in the freezer the other day I came across a bag of frozen haskap berries I had somehow forgotten about. 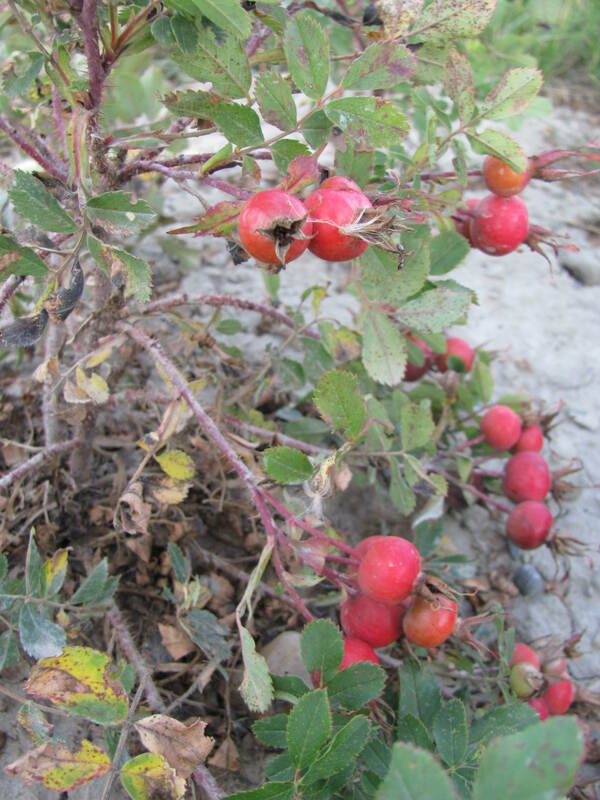 (You might recall that my hubby and I went out and picked haskap berries at a u-pick farm last July – you can see photos of the berries and shrubs here). I couldn’t have such treasure just sitting there any longer, so I took them out and made a crisp. 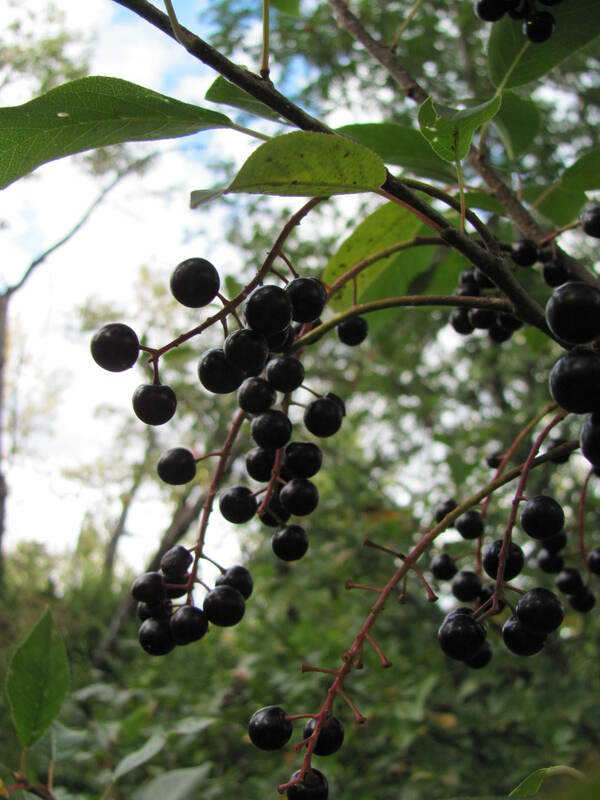 Haskap berries freeze beautifully and they really don’t lose any of that wonderful tangy freshness (they taste sort of like a combination of raspberries and blueberries). 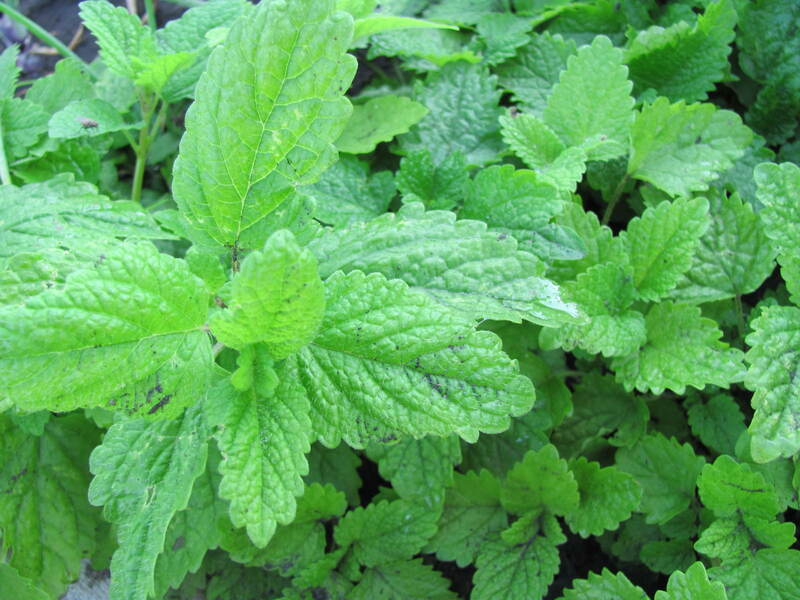 If you ever get a chance to try them, don’t hesitate – I have a feeling you’ll be an instant fan. 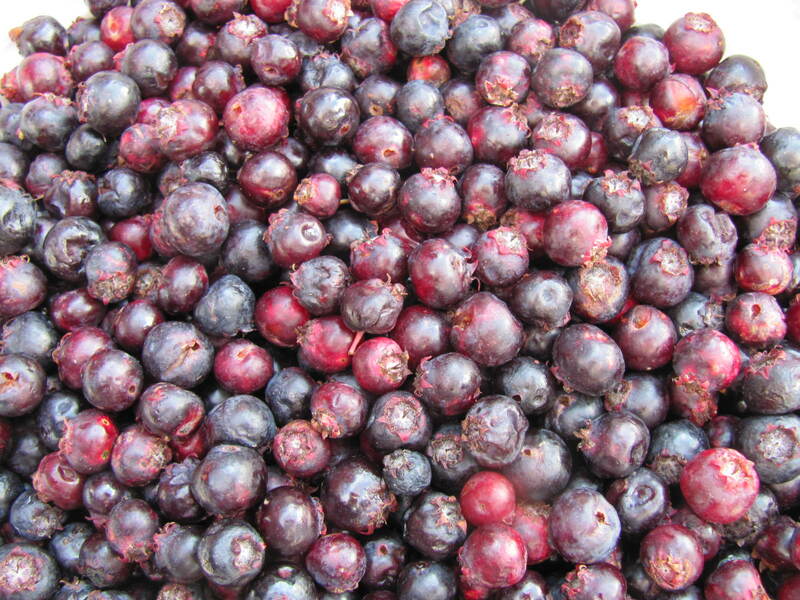 Here is the crisp recipe – if you don’t have haskap berries, use blueberries. 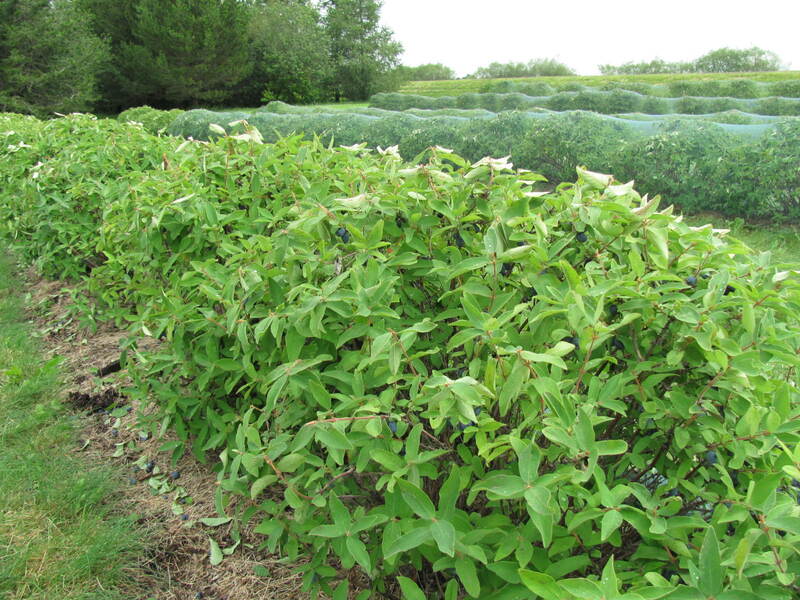 Better still, use wild blueberries. YUM! Preheat oven to 375 degrees Fahrenheit. Butter a 9″ casserole dish. 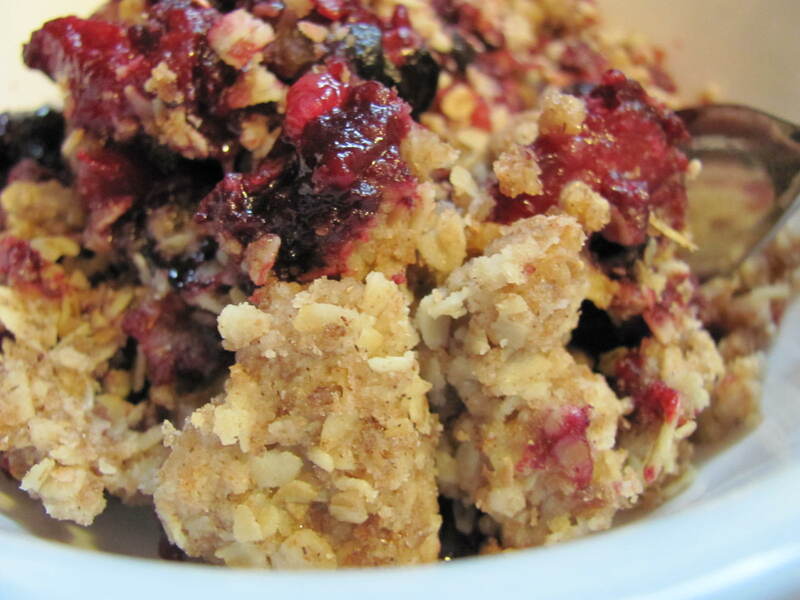 In a bowl, mix haskap berries, pears, sugar, cornstarch and cinnamon. Pour into the bottom of the prepared casserole dish. In another bowl, mix the oatmeal, whole wheat flour, brown sugar and cinnamon. Add the butter and mix with your fingers until the mixture is crumbly and coarse. Sprinkle the topping over the fruit base in the casserole dish, covering it completely. Bake for 45 minutes until the top is bubbly and golden brown. Remove and cool slightly. You can serve this either warm or cold. While I didn’t add anything, a dollop of whipped cream or ice cream would be amazing! 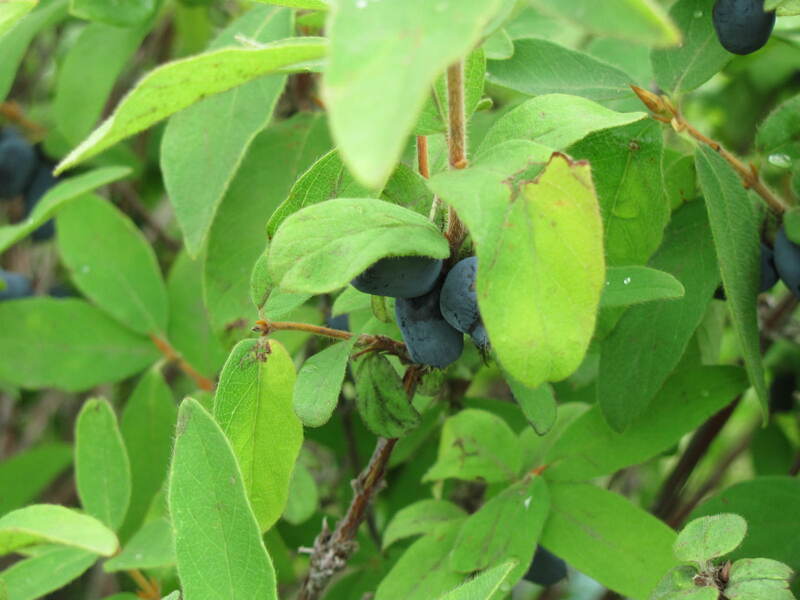 Have you ever eaten haskap berries? 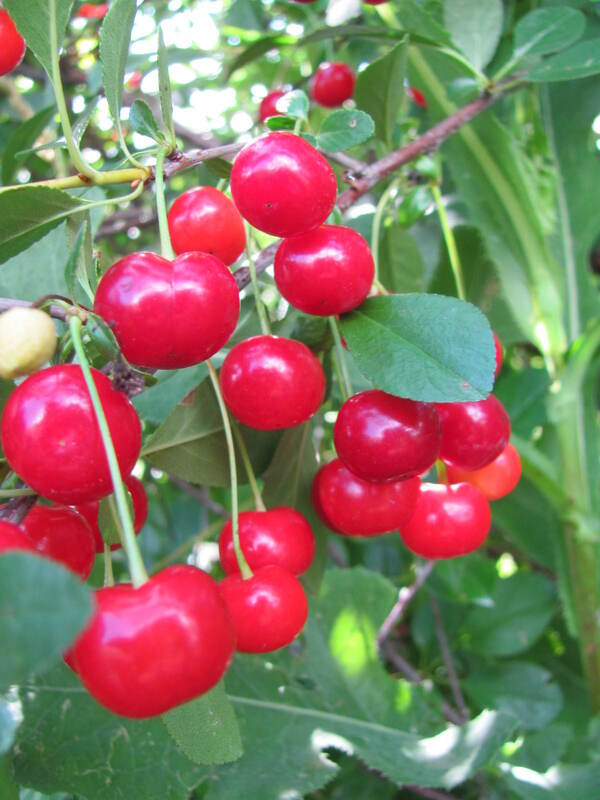 Do you grow them or blueberries in your garden?